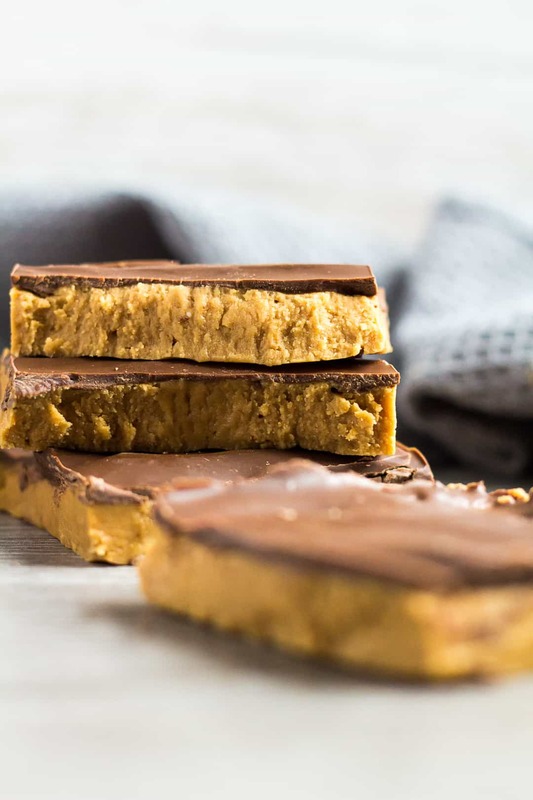 No-Bake Chocolate Biscoff Bars – Deliciously creamy and fudgy Biscoff bars that are full of flavour, no-bake, and topped with a layer of chocolate! 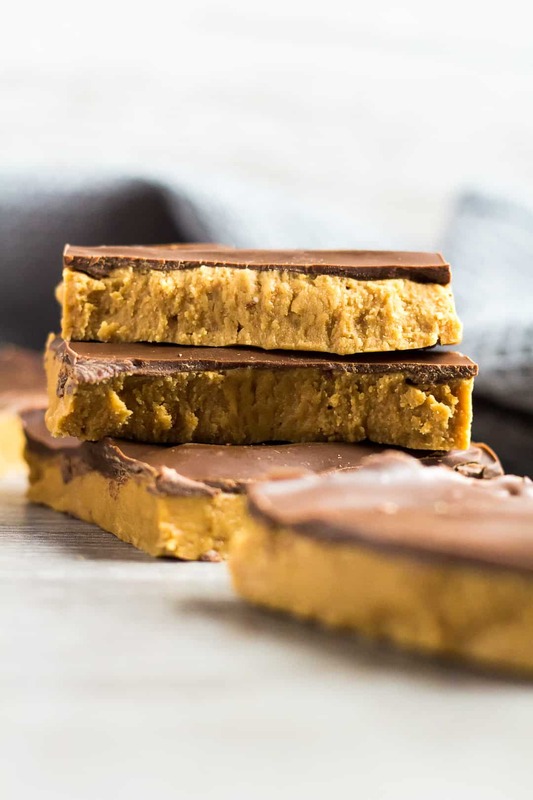 Much like my No-Bake Chocolate Peanut Butter Bars, today’s recipe is super quick and easy to throw together, and is loaded with flavour. 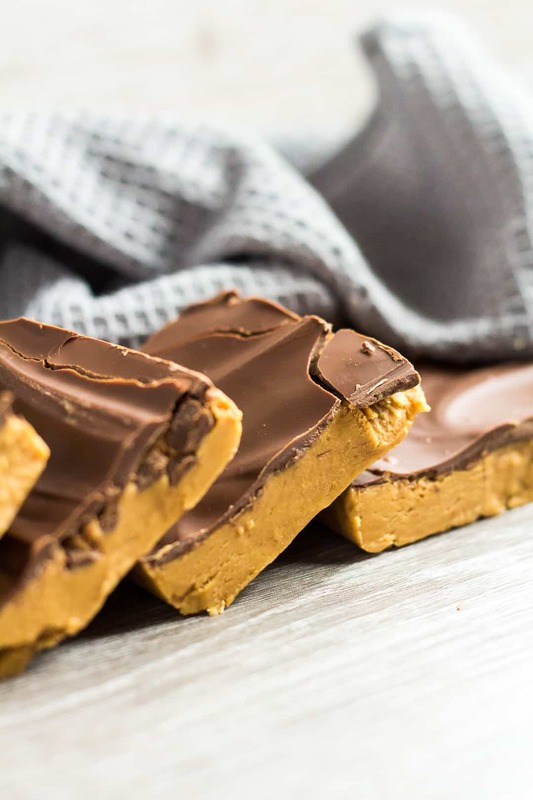 These No-Bake Chocolate Biscoff Bars are sure to be a crowd-pleaser! Yup. 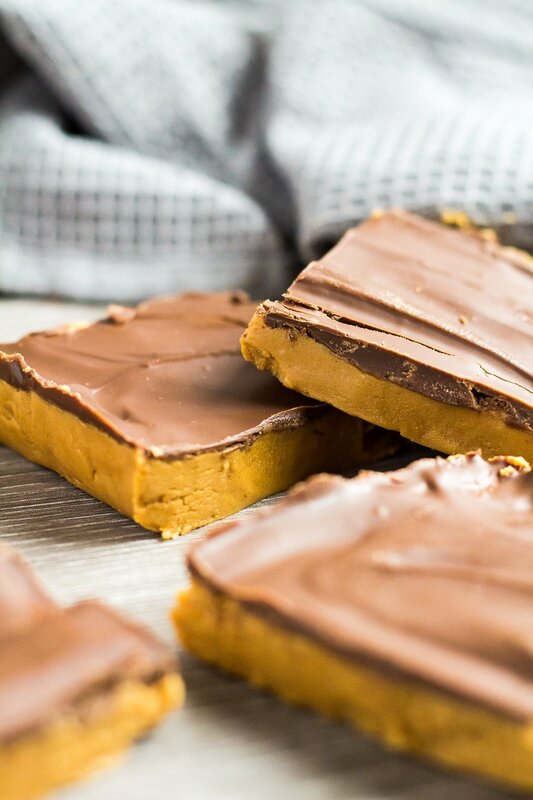 These bars only require 4 simple ingredients. Already have them? Go make these right away! To make these Biscoff bars, simply mix together the Biscoff spread, icing sugar, and butter until fully combined. Press the mixture into an 8×8-inch square baking pan lined with foil or parchment paper. For the topping, add the chocolate to a microwave-safe bowl, and heat in 30 second intervals, stirring after each one, until melted and smooth. Pour over the Biscoff layer, and spread out evenly. These bars can be cut up into 9 big bars, or 16 smaller bars. You can store any leftovers in the fridge for up to a week, or freeze them for up to 2 months. 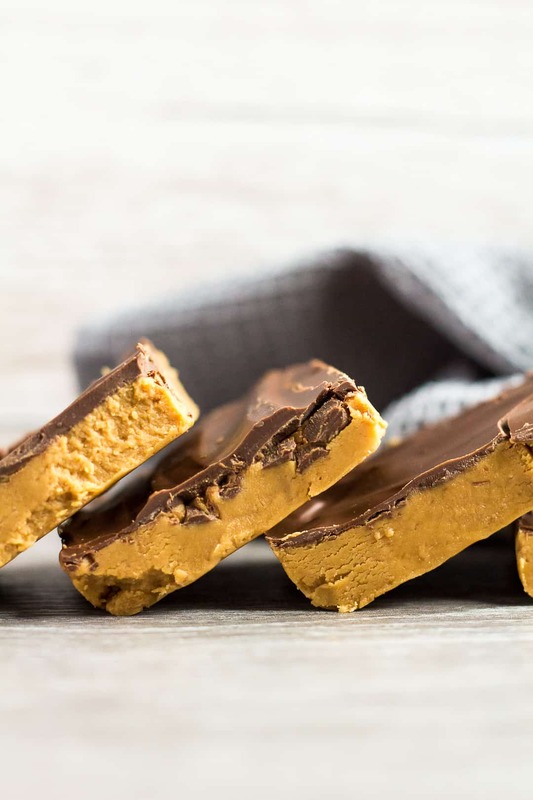 Try these delicious no-bake bars next! 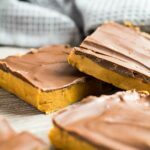 Deliciously creamy and fudgy Biscoff bars that are full of flavour, no-bake, and topped with a layer of chocolate! Mix together the Biscoff spread, icing sugar, and butter until fully combined. Press the mixture into the prepared pan. Add the chocolate to a microwave-safe bowl, and heat in 30 second intervals, stirring after each one, until melted and smooth. Pour over the Biscoff layer, and spread out evenly. Refrigerate until set - about 2 - 4 hours. Bars stay fresh stored in an airtight container in the fridge for up to 1 week. Serve chilled. They also freeze well for up to 2 months. Thaw overnight in the fridge.